Our "FOG Juice Smoke Machine Liquid Plus" is a high density juice with a much denser and longer FOG hang time. Our fog juice, Fog Smoke Liquids for Fog effect are specially made to give you the greatest Fog effect mix that you will need in your Fog Machine at your party. Our fog juice, Smoke Liquid effect works great with most smoke machines. Always use our high quality fog juice to avoid any damage to your machine. NightclubShop makes it a daily routine to provide the best products by the best manufacturers in the Nightclub and Nightlife industry. This Fog juice Smoke effect will give you the full effect you need at your venue for your lighting to stand out, and for the atmosphere and vybe to be just right. This is a 1 Gallon Container that contains some of the Best Fog Juice in the Industry. 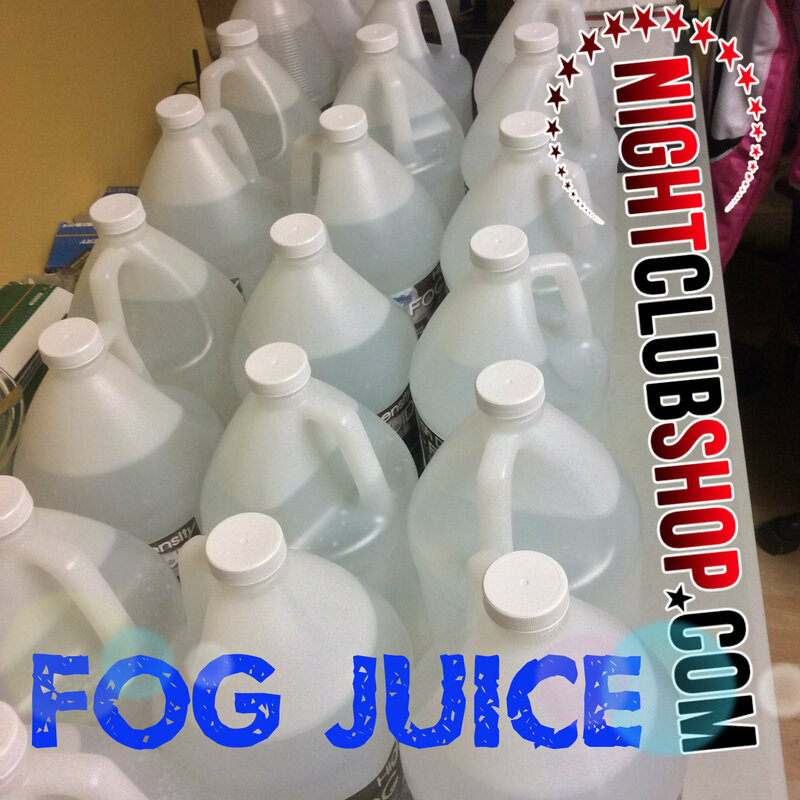 NightclubShop offers you this Fog Liquid at wholesale dealer pricing, Bulk Rates also Available as well as 55 Gallon Fog Liquid Drums.